The importance of good sleep cannot be overstated. Without enough rest, the mind gets distracted, and you can be completely unproductive. With a continued lack of sleep, permanent damage can be done to your body and your mind. 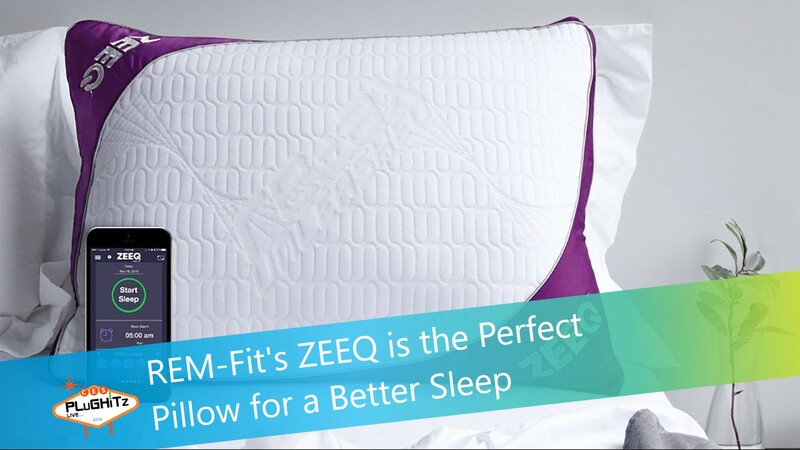 REM-Fit recognizes the importance of sleep and has created the ZEEQ Smart Pillow to help make your sleep better. For starters, the ZEEQ has a pillow speaker embedded into it, so you can listen to music, nature sounds or even white noise to help you fall asleep faster. Once you're asleep, the ZEEQ will analyze your sleep patterns and grade your sleep. Using either Apple's HealthKit or Google Fit, you can view your pattern and score to see if you are getting the amount of sleep you think. ZEEQ can also help your partner to sleep better. The ZEEQ has a microphone built-in that is specifically tuned to hear if you begin to snore. If you do, the pillow will gently vibrate, which should encourage you to shift positions, hopefully ending the snoring. Your partner will appreciate this feature almost as much as you appreciate the statistics. The ZEEQ Smart pillow is available now from various sources.